Over the past few years, there’s been a change to the way the average family dinner takes place. We’re returning to a more old-fashioned way of sharing meals, and while both parents might share cooking responsibilities, having a formal sit-down dinner has become something families tend to do every night. If you’d like to make this valuable tradition part of your family’s lifestyle, you’ll need to pick the perfect dining set to do so. Research shows that dinnertime conversation helps young kids boost their vocabulary. This advantage carries through to school and results in higher achievement scores in adolescence. Families who eat together also tend to eat healthier meals and it provides the opportunity to talk about important social and family matters. How do you choose the perfect dining set for your family’s needs? SIZE – the dining set should be perfectly sized to the room. This means everyone should be able to get seated without bumping into the surrounding walls, furniture and chairs – let alone each other. SHAPE – A round table can seat more people and offers a less formal environment where everyone can see each other while eating. This choice is great for avoiding arguments about who sits at the head or foot of the table. Meanwhile, a more traditional rectangle will generally fit better in most spaces, and provides the opportunity to have a head of the table – particularly for large family meals. HEIGHT – the height of the chairs should be easy enough for every family member to sit down and stand up without any space issues. Chairs that are too high can be uncomfortable for small children and cause adults to bang their kneed underneath the table,while small chairs for grown-ups can make it difficult to sit down and stand up – especially for elderly family members. MATERIAL – While you might have dreams of a fancy wood table, this might not be practical unless your children are old enough to avoid spilling and denting your dining set. Glass can also be a risky choice with young kids involved, but it can be easier to clean up. STYLE – The style of your dining room set doesn’t need to perfectly match your home’s décor style, but it shouldn’t dramatically clash either. You’ll need to live with your choice for years to come, so choose a timeless or classic style you won’t get bored of. 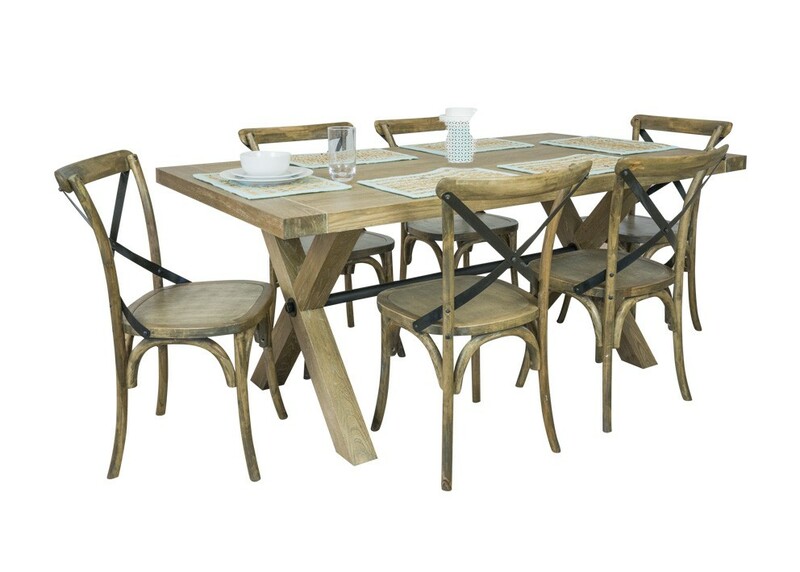 Taking the time to pick the perfect dining set means taking all the above factors into consideration. Want more info or help with your choice of dining table and chairs? Get in touch with us anytime.